Everyone uses different things to relax. For around two hundred years, a popular way to take a break has been to have a cup of tea. In fact, this website suggests that people in Britain drink about 165 million cups of tea a day! We will be popping up in the Main Library Foyer with another popular relaxation activity next week, so if you don’t like tea (or you just like bubble wrap! ), keep an eye on our Facebook and Twitter! This entry was posted in Collections, Interns, Library and tagged happylibrary on February 23, 2016 by universitycollectionsvolunteers. 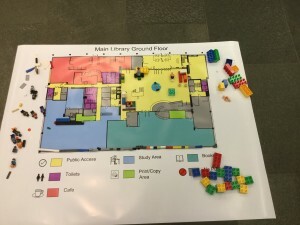 We’re always thinking of ways to improve the library, and today we’ve been asking for your ideas. 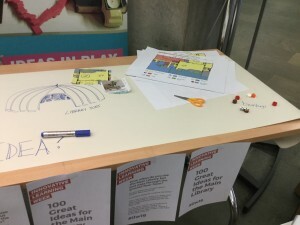 As part of Innovative Learning Week, we’ve been in the foyer today trying to get 100 ideas for what could make this space better. 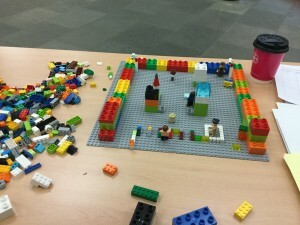 We even made a little Lego model of the foyer – do you recognise it? We want to hear any ideas that you have, and some of them have been a little bit crazy! Anyone fancy a slide from the first floor down to the ground? Or maybe a Library yurt? There have been lots of great suggestions though, how about some library beanbags? Or some thought provoking challenges to get your brain working as you come in to the Library before you have to study? 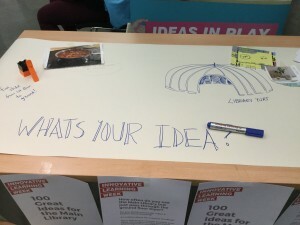 There is still time to contribute your ideas, either visit the library today, or contact us on Facebook or Twitter and let us know what you’d like to see here! This entry was posted in Collections, Library and tagged happylibrary on February 17, 2016 by universitycollectionsvolunteers. As Valentine’s Day approaches this weekend, we want to let all students know that their library loves them! Origami is a great way to take a break from studying, and it only takes six minutes of quiet activity to relax you. The hearts are so easy that you could make a couple in that time! 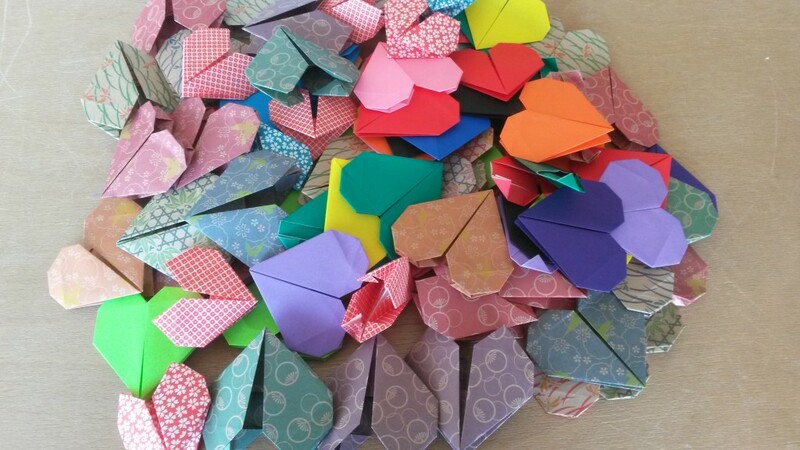 You can find the instructions for the bigger hearts here, and the little bookmark hearts here. These students all had a great time doing it! 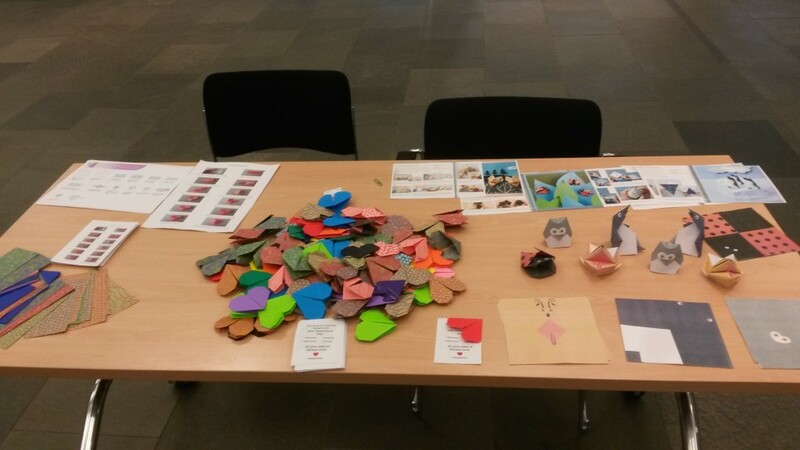 If you do make a heart, take a photo and show us on Facebook or Twitter! Make sure to follow us as well, because we will be posting about more fun events in the Library Foyer in the coming weeks! 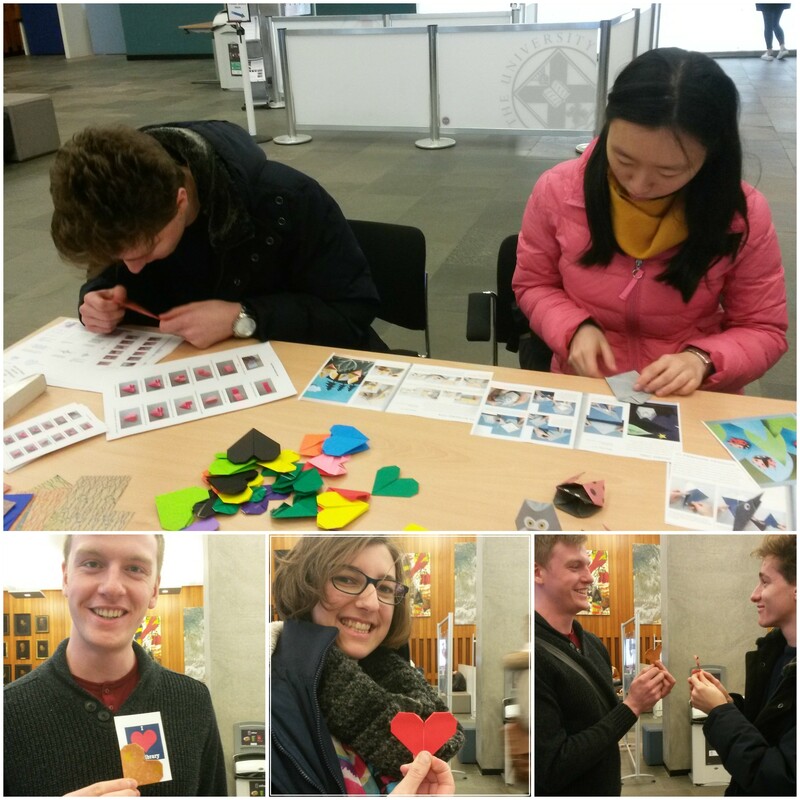 Library love is all around! This entry was posted in Collections, Interns, Library and tagged happylibrary on February 10, 2016 by universitycollectionsvolunteers. The library’s most borrowed books are all textbooks. Of course it is important that our library acts as a resource, but what can it offer you after you have completed your reading from Davidson’s Principles and Practice of Medicine? Certainly, we have more than textbooks here! We were in the foyer of the Main Library today asking students which book on the list they found most inspiring. To Kill a Mockingbird was the clear winner, while One Flew Over the Cuckoo’s Nest and Catch-22 were tied for second place, closely followed by The Catcher in the Rye. Do you agree? Tell us which of these books you find most inspiring! Haven’t read them? It only takes six minutes of quiet reading to relax you, so borrow one from the library and start today! You never know what might come from it. 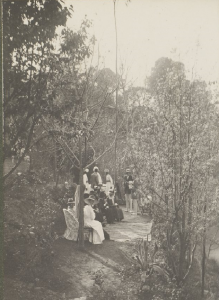 This entry was posted in Collections, Interns, Library and tagged happylibrary on February 3, 2016 by universitycollectionsvolunteers.